The community of Headland is one of the fastest growing communities in the county. Headland provides you and your family with a variety of recreational opportunities along with access to state-of-the-art medical facilities and fantastic worship centers. The Headland community is among the finest residential areas in Henry County. An increase in population in recent years shows a that people are seeking communities that have retained family values and a higher quality of life. Many residents in Headland enjoy the quality schools, safe communities, clean air and water, good family neighborhoods, stable government, efficient city operations, excellent health care, and good shopping and dining facilities that are close by. As a result, many local residents participate in civic, school and neighborhood affairs in order to sustain this quality of life we all enjoy. Henry County Demographic data indicates that the majority of the local labor force lives within a 25 min. commute to their place of employment. As educational levels and household incomes increased with the quality of residents and companies settling in the area, so have the variety and number of professionals increased to serve both constituencies. The professional community in Headland demonstrates excellence in many occupations including accountants, attorneys, medical, dental and health specialists as well as specialists in business, banking, finance, investments, insurance, real estate, marketing and other technical trades. In and around out town are buildings feature special amenities such as trees and gardens areas, outdoor eating areas, in addition to clean, comfortable, spacious interior areas and off-street parking. 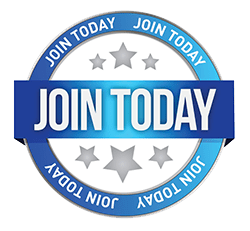 For those sociable people, there are several professional and community based organizations that help individuals to meet, network, socialize and become part of the community. The combination of family values, safe neighborhoods and quality educational along with a diverse business community provides an excellent environment for anybody. 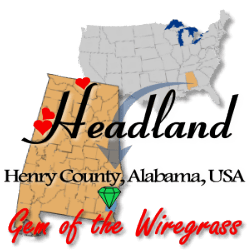 The economic outlook as the 21st century progresses is healthy and positive in Headland, Alabama.